The Orthodox Church in America published a pastoral address by the Metropolitan Tikhon of the whole of America and Canada on the Ukrainian issue. Although this Church received autocephaly from the Russian Orthodox Church in 1970, this status is not recognized by Constantinople, therefore, the OCA is still considered a part of the Russian Orthodox Church, according to Cerkvarium. 1. Ukrainian division causes harm to the communities of the OCA as well. 2. Church division is influenced by geopolitical conflicts, and OCA prays for their peaceful and just solution. 3. The Synod of the OCA was informed about the initiatives of His Holiness Patriarch Bartholomew regarding his intentions to resolve this painful situation. 4. 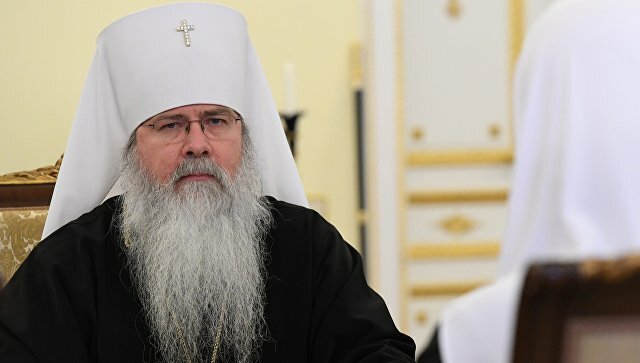 The Moscow Patriarchate's decision to suspend the liturgical concelebration with the hierarchs of the Ecumenical Patriarchate was perceived with regret, but with understanding. 5. The church split causes pain and trauma in the lives of Orthodox people, and this weakens Orthodox witnessing and evangelization in society. 6. Schisms, division and mutual antagonism are not only canonical problems, but are pastoral and spiritual challenges that require the healing power of Christ and the Christian faith. 7. OCA joins the proposal of the Synod of the Russian Orthodox Church to initiate a Pan-Orthodox discussion about the church situation in Ukraine. 8. The Synod of Bishops of the OCA maintains the need for regular dialogue at every level, and calls on all local Orthodox Churches to resolve the current crisis in Ukraine through the convening of the Pan-Orthodox Synaxis or an analogous conciliar process. 9. OCA expresses support and prayers for the leader of the UOC-MP Metropolitan Onufriy and “all bishops, clergy, monastic people and the faithful of the canonical Ukrainian Orthodox Church”. 10. However, the Orthodox Church in America supports cooperation and Eucharistic communion with both the Ecumenical Patriarchate and the Moscow Patriarchate as a sign of unity in the context of modern threats to the unity.